In my last post I shared a bit about some very useful small group material, The Gospel Centered Life, which includes a Participants Book that sells regularly for $7.99 and a Leaders Guide for $12.99 (New Growth Press) and a good follow-up trio entitled Gospel Identity, Gospel Growth, and Gospel Love (New Growth Press; each regularly $12.99.) We have these for BookNotes readers on sale for 20% off those regular prices. I noted that I think they are helpful for the very focused way — some might say intensely focused way — they help us realize the transforming power of the gospel. Christ’s atoning death and resurrection impacts us not as mere doctrines and not as one-time truths after which we are on our own. No, a gospel-centered approach helps us be open to God’s work in our lives, trusting in Christ’s sufficiency for our salvation, our transformation, our healing and our hope. These studies are really solid and can re-focus us on the first things of the gospel: grace alone by faith alone through Christ alone. Yet, I also shared a bit of a concern that in this recent emphasis on the gospel of grace as the core of how we grow as followers of Jesus there could be, perhaps unintentionally, a confusion about the gospel itself, which, according to the gospel writers, is that the Kingdom of God is at hand. As Advent approaches we refocus our waiting for His second coming to restore all things, to heal the creation and brings peace — “swords into plowshares!” He will share his blessings widely — “far as the curse is found,” in fact. It is hard to understand authentically Biblical gospel transformation without an emphasis on the reign of the King, a King who heals creation itself. The gospel good news is the spectacular announcement that the one with Crown rights on the creation has begun His reclamation project. Through mercy and love, the gracious Ruler is out to save the world. The gospel train’s a-comin’ for saints and sinners (as the mighty Bruce Springsteen sings over and over in “Land of Hopes and Dreams” on Wreckin’ Ball — “just get on board!”) The Kingdom of God is at hand. And so, I listed some books about the Kingdom, and I commended them to you. I do not think our bookstore would exist as it does without these sorts of books and if you appreciate our work, you’ll know what I mean. Read books about grace, read books about Jesus, and, yes, please, read books about the Kingdom of God. There is much to learn, and there’s no time to lose. Too many churches and Christian curricula and para-church organizations and radio preachers and the like have failed to frame their ministry by the Kingdom of God. Our missional living in the world (and our rituals of worship) are weaker because of it. Sorry to preach, but I think that list is important, and hope you printed it off, passed it on, tweeted and facebooked it. I rarely do a whole blog in order to add just one more book to a list, but there is a brand new release that I did not list last week because I hadn’t had time to peruse it. Now that I’ve studied it a bit, I just have to tell you about it. We have it on sale for a bit more than 20% off. It’s a good one. 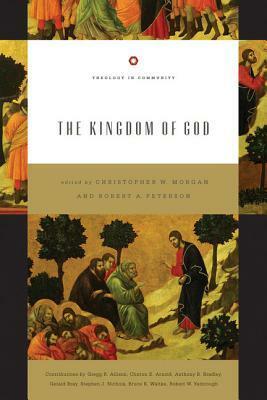 T he Kingdom of God is edited by Christopher W. Morgan & Robert A. Peterson and is part of a new series being called “Theology in Community” published by the fairly conservative, mostly Reformed Crossway books. They do a classy publishing job, and this book is no exception. I’ve been waiting to see it since last Spring at the Q conference in DC when Anthony Bradley told me with great enthusiasm —does he talk any other way? — about his chapter (mostly focusing on justice as central to the Kingdom.) I read that chapter the minute I got my hands on the book. theologian, from a theonomist/reconstructionist, and from a postmodern emergent activist. And it admits that each one has some truth in their particular formulations of the nature of God’s Kingdom. Not all conservative scholars are as ecumenical as these authors, and it makes for a tremendous educational experience. I mentioned how glad I was to see something new in print by Anthony Bradley. Another acquaintance of ours, an author who just amazes us with his prodigious output on so many topics, has a chapter that is fabulous. Lancaster’s own Stephen J. Nichols writes the lead-off chapter on how the Kingdom has been understood by different movements through-out church history and in several quarters today. It is wonderful, in my view, to have such an astute, readable overview that is irenic and insightful. As the rest of the book has the burden to help us understand and appreciate the centrality of the Kingdom theme in the Bible, it is good to realize how it has and hasn’t been understood by the cloud of witnesses that have come before. Bruce Waltke, whose PhD is from Harvard, is a major, creative, respected evangelical Biblical scholar and over the years we have repeatedly recommend any of his important books. He does two chapters here, both about the Kingdom in the Hebrew Scriptures. One is especially on the relationship with the covenants — so important! That last chapter that I read first? 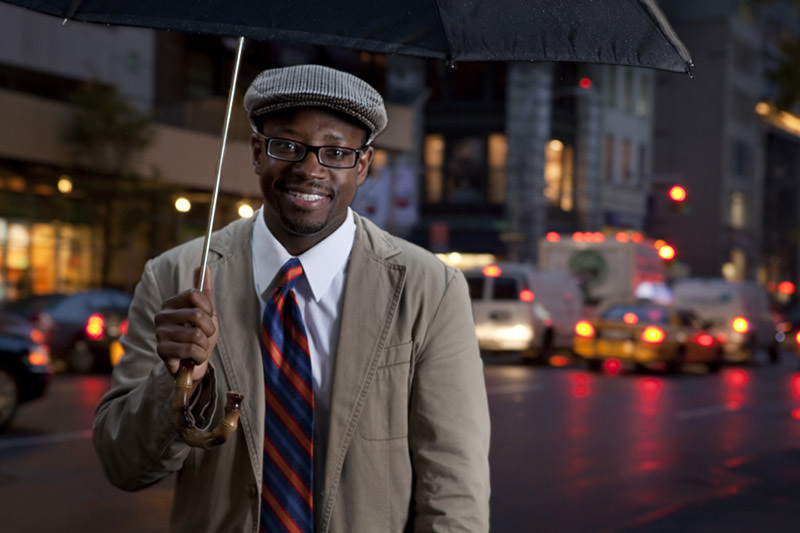 If you know Dr. Bradley, he is a passionate, African-American Kuyperian. (And he will be at the CCOs Jubilee Conference in February of 2013!) He has significant cultural awareness, and his contribution, “The Kingdom Today,” is multi-faceted, balanced, and makes 8 key observations, questions, really, that need to be pursued if we are going to live out a Kingdom vision of justice in our contemporary social scene. (With a urgent call to orthopraxis he looks at the power of love, the importance of solidarity, how we must affirm human dignity, always; he looks at what Catholics call subsidiarity and what neo-Calvinists called sphere sovereignty; his view of civil society is a helpful counter to extremes of the liberal left and the libertarian right and gives us all much to consider, about things as complex as fair trade coffee and urban education.) For better or worse, Anthony is impeccable as a balanced and non-ideological scholar, so he cites conservative think tanks as well as Cornel West; where else can you find Herman Bavinck and Dwight Hopkins, Pope John Paul II and David Koyzsis all cited so usefully? Of course, one chapter alone cannot offer a full vision, let alone a programmatic plan for a Kingdom perspective on all aspects of cultural renewal (the arts, science, recreation, media and the like), but for the topics covered, mostly about justice and reconciliation in our public life, it is very thoughtful and quite inspiring. His point is that the good study of the whole book comes to this: we must struggle with how can we honor God and promote Christ’s ways as we live faithfully in the tension of the already/not yet of the coming Kingdom. We are ambassadors of that Kingdom, sharing it across all sides of life and to all creation. If you aren’t used to reading fairly serious Biblical and theological scholarship, this is a great entry level book — it may be a “gateway drug” leading you to heavier stuff, though! If you are pastor who has kept up your theological chops, you will want to spend time pondering how your ministry might be more shaped by the Kingdom vision explicated here. I love the way it engages many different perspectives and scholars, from Basil the Great to Jurgen Moltmann, from Herman Ridderbos to N.T. Wright. The books I listed in the last post are fabulous, and I invite you to consider them. This one should be added to the list. Thank God for scholars doing this kind of focused work on this theme, and thank God for publishers. And for readers. We are grateful for you, and glad to help equip you in your work as agents of God’s Kingdom.